You’ll get stronger, feel happier, and have fun with new friends! Whether you’re starting an exercise routine for the first time in your life or looking to mix up your workouts, SilverSneakers classes have something for you. Find out what SilverSneakers members love about our classes and the wide variety of options that are available. “I started about six years ago,” says SilverSneakers member Pat Minitti. “I was stiff, no balance, no flexibility.” Shortly after he began attending, he noticed an improvement in those areas—and felt more capable. But his favorite part of SilverSneakers classes? “The camaraderie,” he says. He’s not alone. Most people don’t join SilverSneakers to meet new friends, but friendships are what keep them coming back. 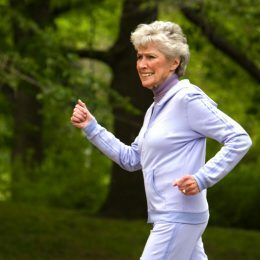 In fact, 49 percent of active members say they are motivated to continue exercising because they have a SilverSneakers friend. Have you ever tried a new exercise and wondered if you were doing it right? You’ll be relieved to know that SilverSneakers classes are led by certified instructors who specialize in working with older adults. They’ll help you learn the exercises so you can do them safely. “The best part is there’s an instructor there, and if you’re not using the right muscle the right way or you’re turning your wrist the wrong way, they can help you,” says SilverSneakers member Marilyn Gillham. Got a bad knee or achy hips? Feeling a little unsteady on your feet? Let instructors know—so they can adapt the exercise for your needs. For example, instead of standing exercises, they can help you do exercises in a seated position using a chair. This beginner-friendly class emphasizes building hip stability, shoulder mobility, and core strength. 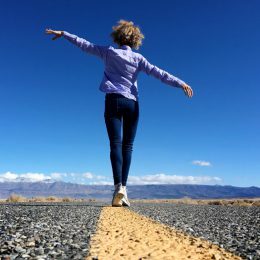 “The stronger we are in the core, the better able we are to work everything else,” says SilverSneakers instructor Terri Tracey. SilverSneakers Circuit: You’ll use light weights, resistance tubes, and a SilverSneakers ball for a full-body workout. A chair is available for support. SilverSneakers CardioFit: You’ll build endurance and core strength with this heart-healthy aerobics class. SilverSneakers Yoga: You’ll move through a whole-body series of seated and standing yoga poses, plus practice breathing exercises. SilverSneakers Splash: You’ll stay in the shallow end of the pool for a low-impact, joint-friendly water exercise class. The class is safe for non-swimmers. SilverSneakers Stability: You’ll improve balance through exercises that strengthen the ankles, knees, and hips. A chair is available for support. SilverSneakers BOOM: Want a challenge? 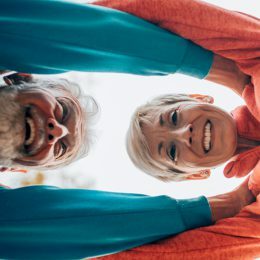 These fast-paced, high-intensity classes are designed for baby boomers and active older adults. SilverSneakers FLEX: Looking to try tai chi, boot camp, or fitness classes outside the gym? FLEX offers more than 70 types of classes taught at neighborhood locations, such as recreation centers, churches, and living communities for older adults.